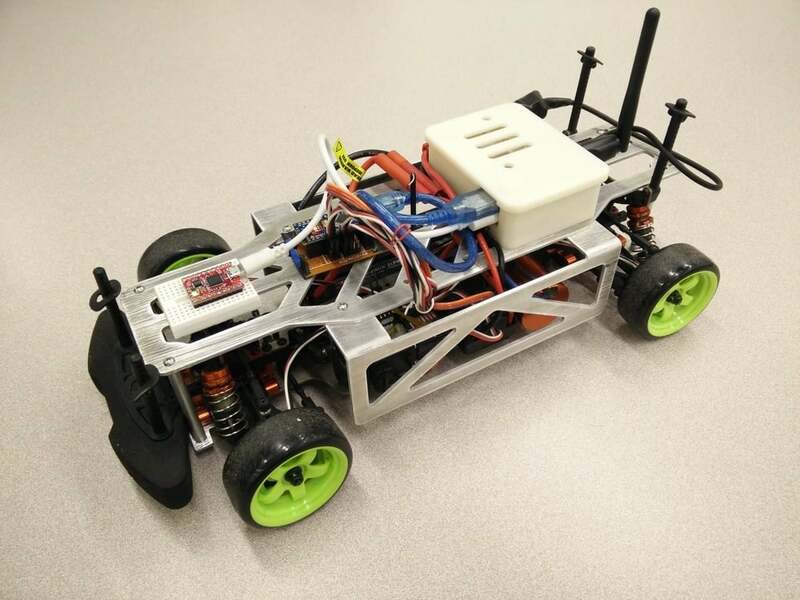 The goal of the Berkeley Autonomous Race Car Project (barc Project) is to develop an open-source, low-cost 1/10th scale model for exploring and learning a variety of design concepts. Those include mechanical design, vehicle dynamics, control, estimation, sensing and localization. Sensors, such as encoders, ultrasonic sensors, 9-axis IMU, GPS, and camera, are implemented with a on-board computing unit to achieve autonomous drive. the design of WPT systems, especially those for electric vehicles. Some of the major research entities involved include Wireless Advanced Vehicle Electrification (WAVE), Korean Institute for Advanced Science and Technology (KAIST), and Oak Ridge National Laboratory (ORNL). During my internship at ORNL during the summer of 2015, I worked on the optimal control of a (magnetic-resonant based) WPT circuit to achieve maximum (or target) power transmission to an electric vehicle for stationary and dynamic applications. The work built from the models and analysis conducted by the engineers and scientists at ORNL. The work spanned circuit theory analysis, vehicle dynamics, optimization and control. The goal of the WPT controller was to select the optimal operating frequency based on an estimate of a parameter called the mutual inductance. For cars in motion, knowledge of the vehicle dynamics and circuit model could be used to produce an estimate of how the mutual inductance would evolve over time. The goal of this project was to develop an open-source, low-cost laser project capable of projecting industry standard ILDA (International Laser Display Association) image files. Laser projectors are typically used for theatrical and stage lighting to project vector graphics or produce lighting effects. Since laser projectors use a collimated light source that does not defocus or lose intensity with distance, they are perfectly suited for long range projection applications that would otherwise require very large and expensive long throw projectors. As an example, a low-cost laser projector could be used to projection bomb buildings with text and motion graphics for mass communication during public demonstrations. Developing an open-source, low-cost alternative to existing projection bombing methods has the potential to expand people’s ability to reclaim public space and mass communicate ideas. This projector operates by redirecting the path of a laser beam using mirrors mounted on galvanometers to trace out thousands of points per second, creating a cohesively projected image. The system executes closed loop at 20 kHz and operates using multiple interrupts, necessitating real time and multitasking programming. During my final year in college, I worked on a project that focused on the design of a safe, low-cost pressure sore prevention medical device to be used to treat and prevent Stage I pressure sores. From interviews I conducted that semester, the recommended practice for treating immobile patients at risk for developing pressure sores is to tilt the patient on his side every few hours, inserting a pillow or other soft material as a wedge underneath the patient to hold the tilted position. I designed a prototype medical device that revolved around the concept of four pneumatic inflatable wedges, each with a triangular prism geometry, that are installed underneath the patient and that are connected to tubes, valves, and a pump. This system was controlled by a microcontroller to inflate and deflate each inflatable wedge at specified times to tilt the patient to his side. Pressure sensors were employed as feedback elements in the system. During testing, the prototype demonstrated proof of concept by inflating a wedge with a 50 lbs sandbag weight, representing a portion of the patient’s weight, within in five minutes. The project budget was under $300. As the course progressed, we traced out various stages of the design cycle. Initially, we sketched out several concepts, then created a foam-core prototype, next designed a complete model using SolidWorks, then manufactured components using CNC milling machines, laser cutters, and 3D printers, and lastly assembled and tested our vehicle. In the end, our vehicle completed all the obstacles and earned second place in terms of fastest time.